In I Am Malala, Nobel Peace Prize Winner Malala Yousafzai told a story of bravery and survival that became a symbol of resistance around the world. 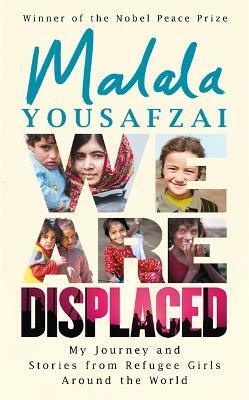 We Are Displaced is her powerful and timely follow-up. As a work of oral history it is astonishing reminder of the collective power of personal testimony. Poignant and at times harrowing, nevertheless the lasting impression of these accounts is one of hope and resilience that crucially puts a human face to what is all too often reduced to a catalogue of statistics. This is a very small book but it packs a punch! Most people know the background to Malala arriving in the UK, but we should remember she is not the only one. At a superficial level, this is an easy read - short chapters, easy and accessible language.